How to register in the iTunes Store. Create an account. When you first sign in to the iTunes Store, iBooks Store, or “App Store” using the tool Apple identification ID you will be asked to specify the method of the most convenient payment so that you can make the necessary purchases in the store. In case you do not want to specify the type and method of payment for your account, follow the steps below. For registration, Apple recommends using only one Apple ID for all software services and features for which it is likely to be needed later. If you managed to create an Apple ID, then when you first sign in using it in the iTunes Store, the iBooks Store and the App Store, you will be asked to specify the type of payment. However, after entering the store, if necessary, the payment method can be deleted. 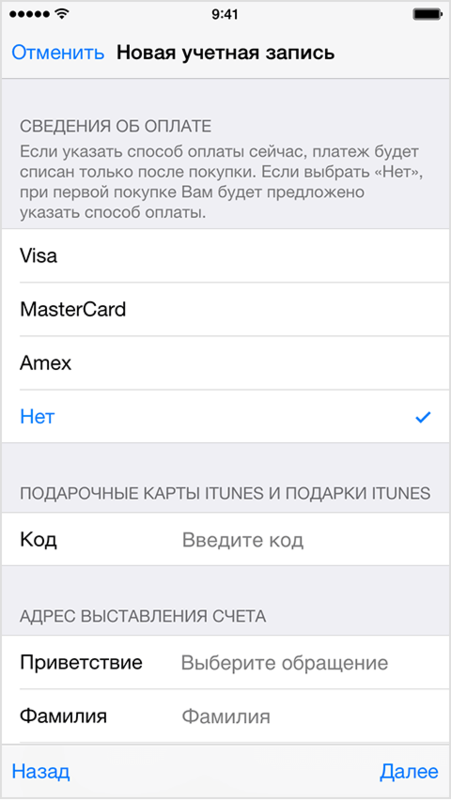 A new request to enter a payment type will not appear until you have made the first purchase in iTunes. on one of the devices iPhone, iPod touch or iPad. Run the application iTunes, then go to the iTunes Store by clicking "iTunes Store" at the top of the window. Scroll down the page and find the flag of the state in which you live in the lower right corner of the window. If the flag of your country is not displayed, click it and select the desired region or country. Next, go to the App Store menu, TV Show, Music, or Books by clicking on one of the icons in the upper left corner. Download a free program, video file, song or book. In order to find free programs, in the right column, click on any link where it says “Free” (“Free on iTunes” or “Best free apps for“ App store ”). Once you have found a free program or file, click "Download." If you need to log in using the Apple ID, click “Create Apple ID. Follow the instructions on the screen. If you need to specify information about the type of payment, click "No". Once you have entered all the necessary information, you will need to confirm your Apple ID using your email. Before you start using your Apple ID, you must first confirm it. Go to the App Store, Tunes Store on one of the iOS devices. Choose a free app, video, song or book. Click "Download" next to the object, and then click on it one more time to download. When you need to sign in using the Apple ID, select Create New Apple ID. Follow the on-screen instructions. Next, when you are required to leave information about the type of payment, select "No". After you have entered all the necessary information, you will need to confirm your Apple ID identifier by email. Before you start using an identifier, you must first confirm it. Among other things, it should be remembered that if you are the creator of a family group and use the “Family Access” feature, the “No” option will not be available on the page about. That's all for today, now you know how to sign up for the iTunes Store and the App Store. 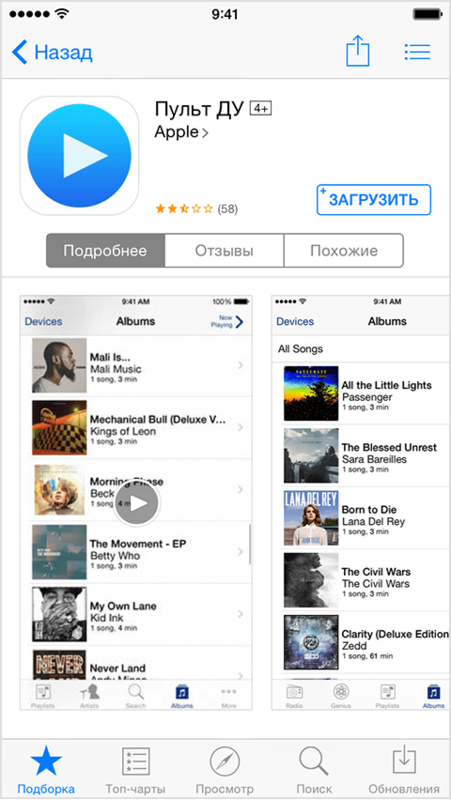 Appsgames⟾Work with iTunes⟾How to register in the iTunes Store. Create an account.